The World Health Organization (WHO) estimates that there are more than 360 million people worldwide with a disabling hearing loss, including 32 million children and one-third of people over 65 years of age. One of the major impacts of hearing loss is on the individual’s ability to communicate with others, since spoken language development is often delayed in children with deafness. It causes feelings of loneliness, isolation and frustration, particularly among older people with hearing loss. The advances in technology could improve the quality of life for those who are deaf of hard of hearing. To help and support the people with hearing loss, two entrepreneurial technology students in the US has designed a pair of gloves ‘SignAloud’ that could break down communication barriers for the deaf, by translating hand gestures into speech. Students, Navid Azodi and Thomas Pryor, recently won $10,000 grant along with the prize from the Lemelson-MIT Student Prize for their innovative design under ‘Use It’ category. 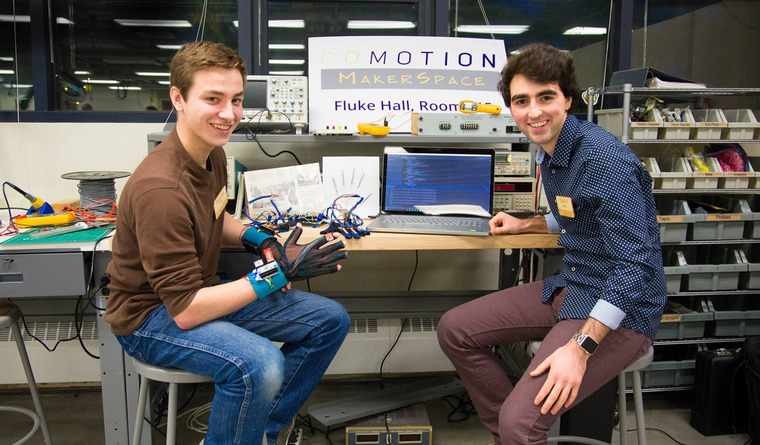 They designed the gloves inside the CoMotion MakerSpace, a collaborative workshop on campus. The invention was aimed at the deaf and hard-of-hearing community; the gloves could potentially find use in stroke rehabilitation and virtual reality. It uses embedded sensors to monitor the position and movement of the user’s hands. The gloves transmit the data via Bluetooth to a computer which analyses the movements and checks them against a library of gestures. The computer then outputs the speech as spoken words or text. “Our gloves are lightweight, compact and worn on the hands, but ergonomic enough to use as an everyday accessory, similar to hearing aids or contact lenses,” Pryor said in a press release. Both Pryor and Azodi also spoke about the beautiful complexity of ASL. With SignAloud, they want to make sure they capture the intricacies of ASL, which they admitted is "very difficult." 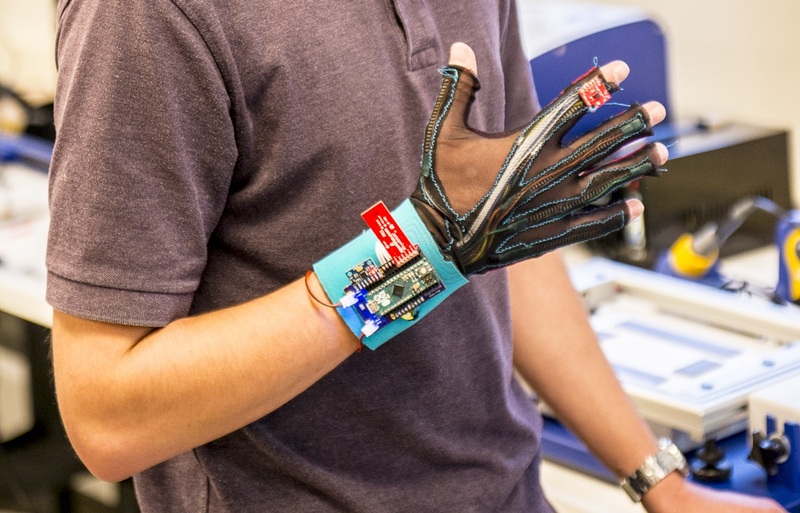 In its current iteration, each SignAloud glove is equipped with sensors that wirelessly send data on hand position and movement to a central computer, which processes the corresponding word or phrase and then delivers it almost instantaneously through a speaker, as reported by University of Washington. The device, in its second iteration, cost Pryor and Azodi under $100 to create. "Now that we have a few extra 0's, we really want to invest back in the gloves and make them more ergonomic and practical to use," Azodi said.